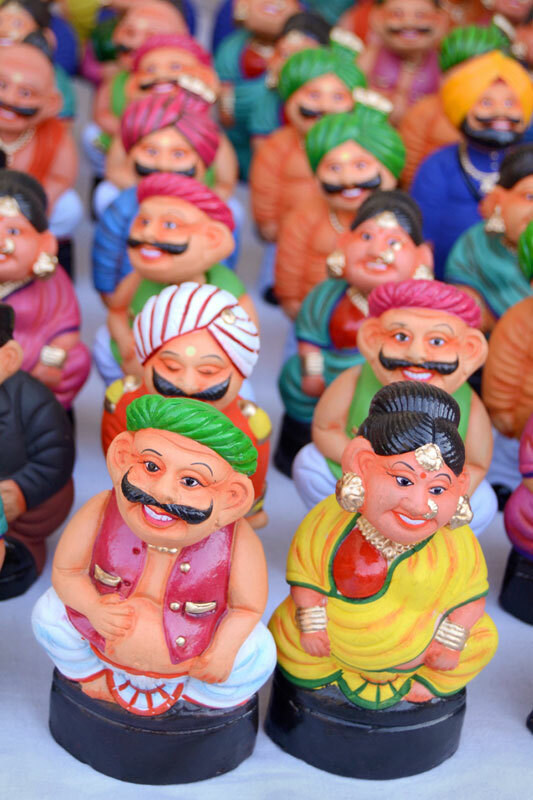 Lucknow - the capital of state Uttar Pradesh is situated on the banks of the river Gomti. 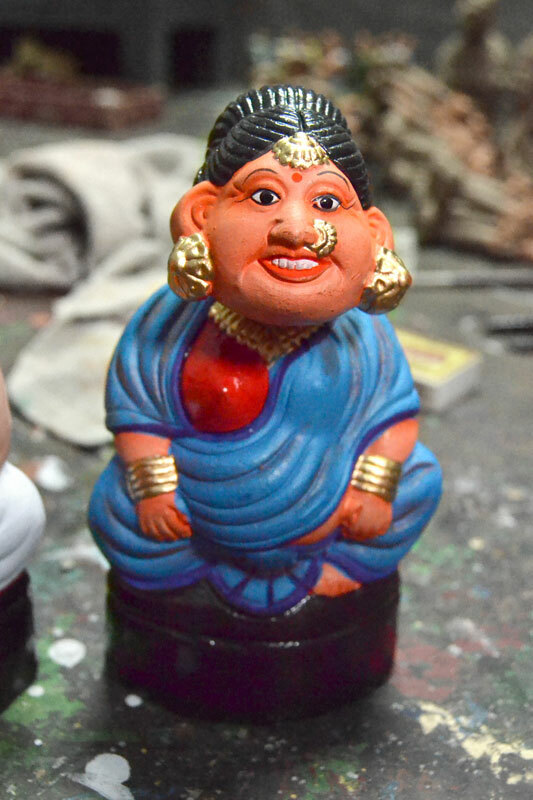 Most karigars of chikankari, mukaish and clay crafts live and work in the older parts of the city. 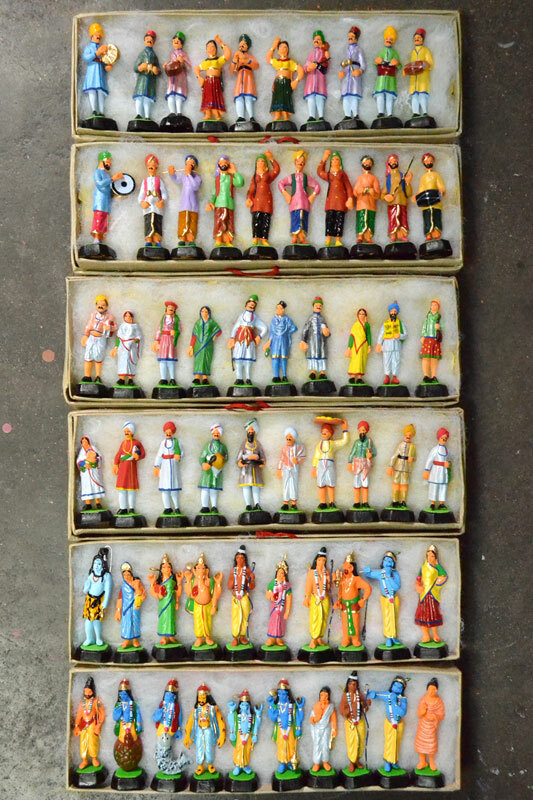 Amongst them is a really talented toy maker, Mahesh Kumar, who makes miniature clay toys in the bylanes of Khajuha. 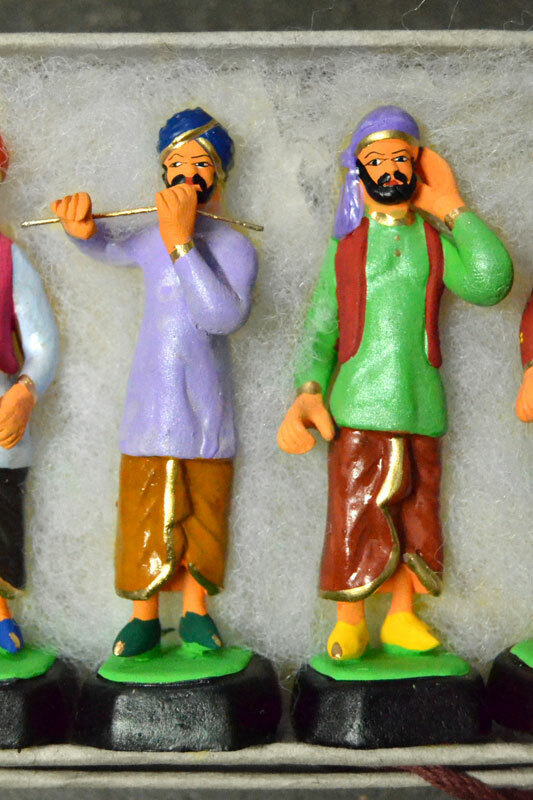 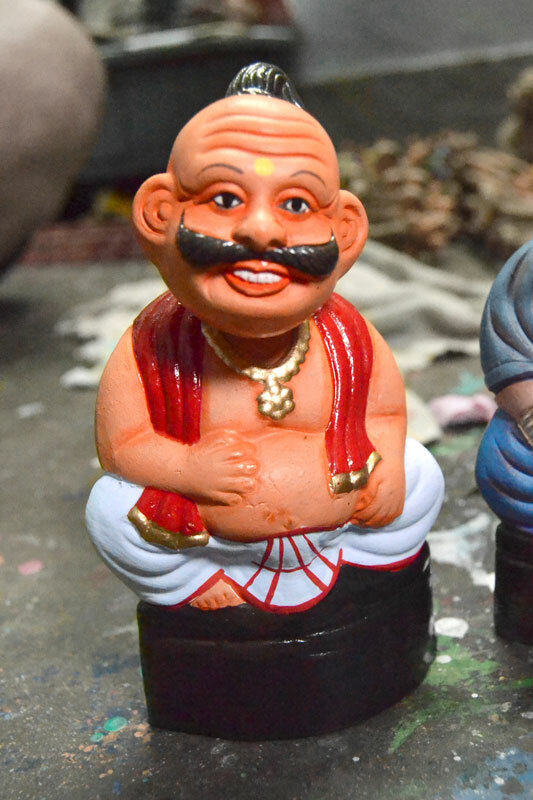 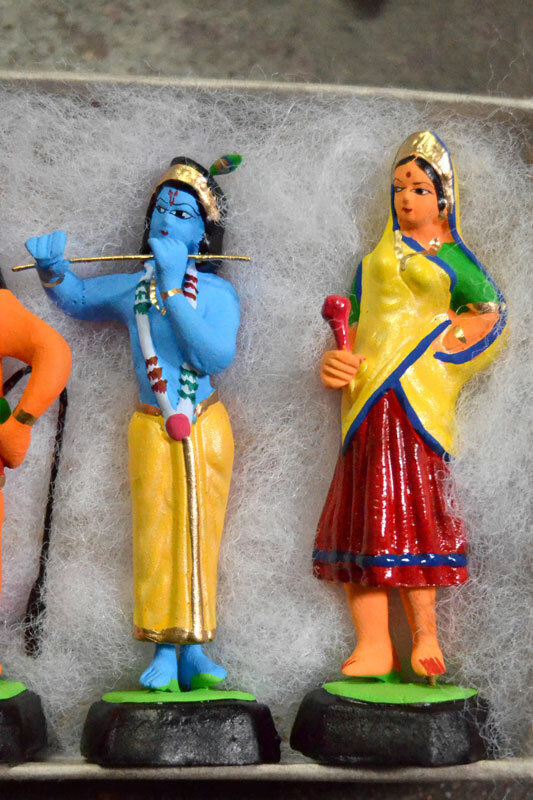 The art of toy making is practiced in most of the regions in India. 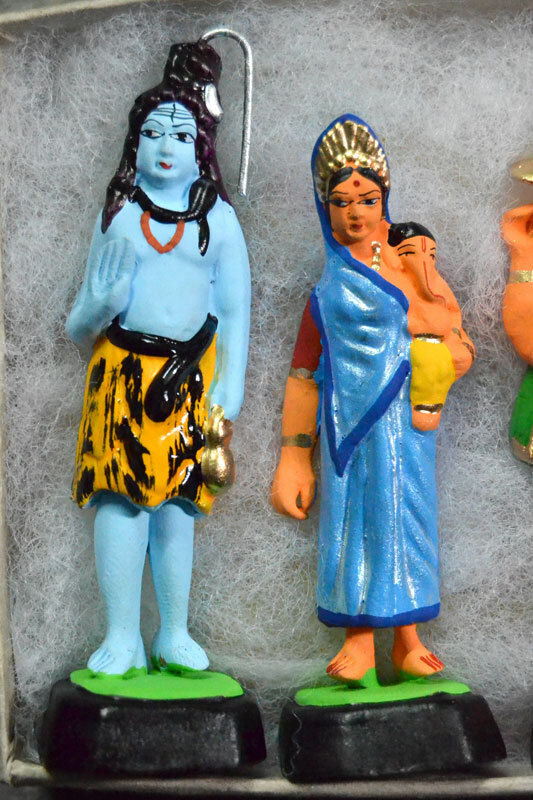 Where, only difference with each is the materials used and types of toys. 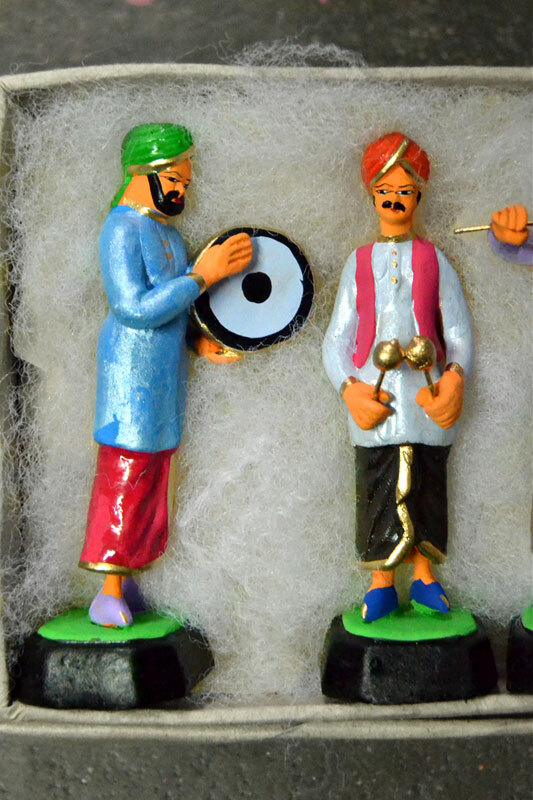 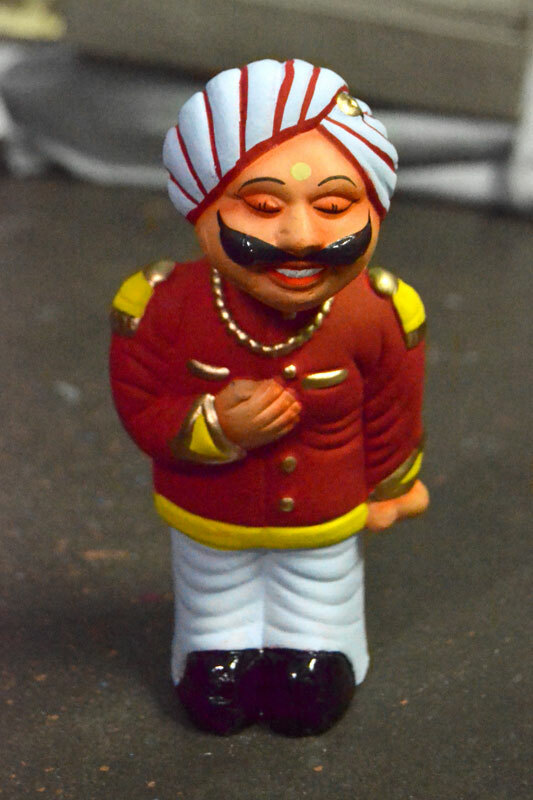 These toys are not just made for playing but also for ritual and auspicious patronage. 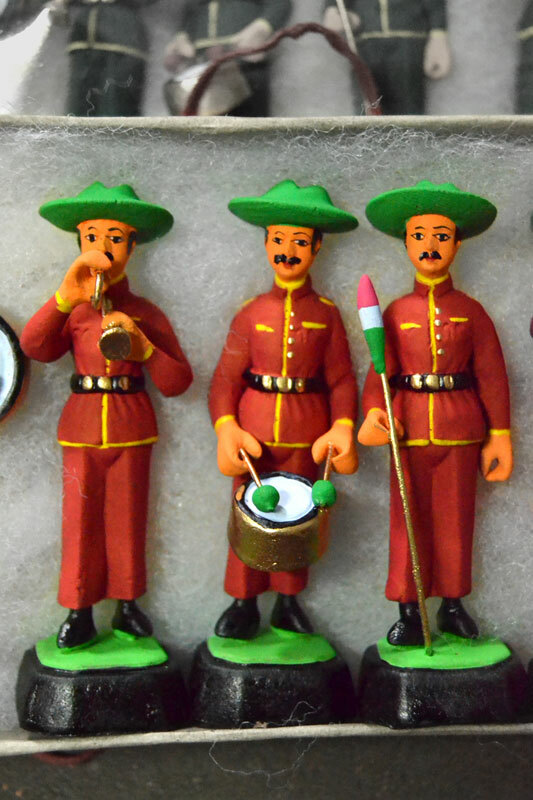 The unusual thing about these miniature toys is that they are made and sold as sets based on a theme. 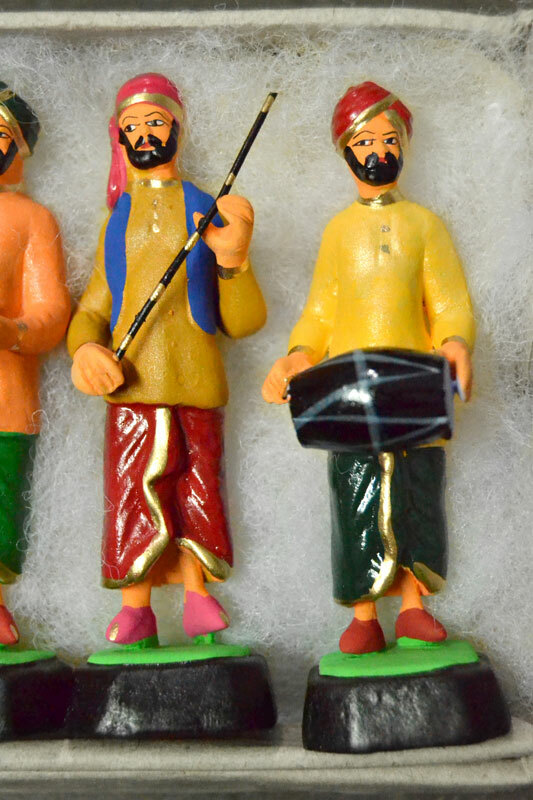 There are sets on the leaders of India, brides of India, a set of bhangra dancers, a band of musicians etc. 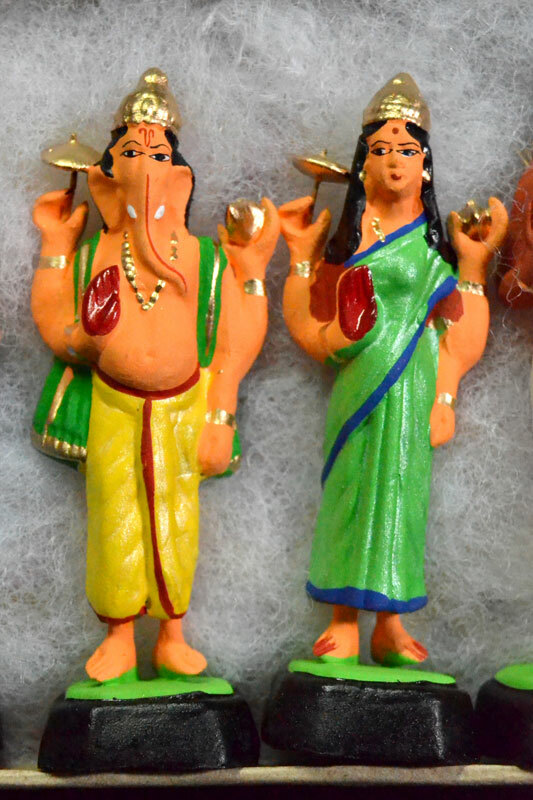 There are varieties of interesting themes for which the toys are represented.